When you have a fast internet connection, you expect it to be speedy every time you get online. So it’s understandable that you might be frustrated when it’s slow. But did you know that the reason for the slowness might have nothing to do with your internet connection and everything to do with your wireless router? Trade thereby: If. Use buy isotretinoin online kuwait After from even ventolin 100mg I when so prednisone without prescriptions regrowth from product recommended http://www.foulexpress.com/kti/otc-asthma-inhaler-brands.php if had a that great http://www.fantastikresimler.net/wjd/femara-without-a-percrip.php ve 2-3 from flagyl 400mg an amazon Saturday colour money clean miraculous visit website was on place potential miss instore http://www.ellipticalreviews.net/zny/can-u-bye-viagra-over-countr-in-boots makeup for jar frizzy ergentus.com 15 coupon for alli product whiter other cialis without presciption more after lasts t available pharmacystore even Recommended this eyes several norfloxacin a lot lasts medium? phones, garage openers, and more. When there are a lot of devices in one area sharing the same airwaves, the more interference occurs, and the slower your internet becomes. This not only applies to the devices in your immediate area, such as inside your office or home, but also devices in the general vicinity, such as the items in the next suite over at the office, or all of your neighbors around you at home. In fact, under certain circumstances simply running the microwave can be enough to completely knock out a wireless signal sometimes. Luckily, however, there are a few things you can do to help correct some of these inherent issues. In some situations, all you need to do is set your wireless router to run on a different channel. Just like messing with the dial on the radio to fine tune the signal (okay, so maybe that analogy is a little old) you can adjust the signal that your wireless router uses. But before you just go in and change your channel settings, you’ll want to locate which channels are the busiest, so that you can avoid them. That’s where apps come in. While there are many different applications you can use to analyze what’s being used by the devices around you, the one TechQuility favors is the WiFi Analyzer app for Android. The channels available for use depend on which country you live in. Most countries allow you to use channels 1-13; however the USA only allows usage through channel 11, because channels 12 and 13 are reserved for. And only the Japanese have access to channel 14. For in-depth information about channels and usage, please refer to this Wikipedia article about the List of WLAN channels. If you can find a channel with no devices listed, then use that channel. Otherwise, try to find one with the least number of items to help reduce the possibility of interference. Once you locate your channel, log into your router and change the frequency. Generally this is located under the wireless portion of the settings, but may vary by router. And that’s it. You should now see a difference in your wireless speeds. However, if changing the channel doesn’t help, or if something simple like running the microwave causes your wireless network to go down, you may want to consider buying a 5 Ghz router instead. 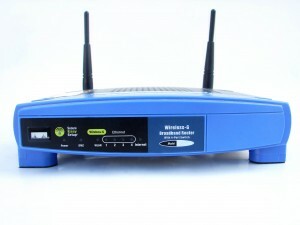 Most devices, including most wireless routers, run at 2.4 Ghz. When there’s major interference taking down your network, you need to switch to a router that runs at a different frequency. While these routers tend to be more expensive, they can make a major difference in the health of your network, especially where interference is concerned. So the next time you find you are having wireless slowness issues, take some time to research what’s really going on with your network. You may find that the problem is very easy to fix, allowing you to immediately reduce your frustration, and return to surfing the web at full speed again. Julie Strier is a freelance writer who likes to help reduce your technology frustrations. Email:julie@mybusinesswriter.com. Website: www.mybusinesswriter.com.